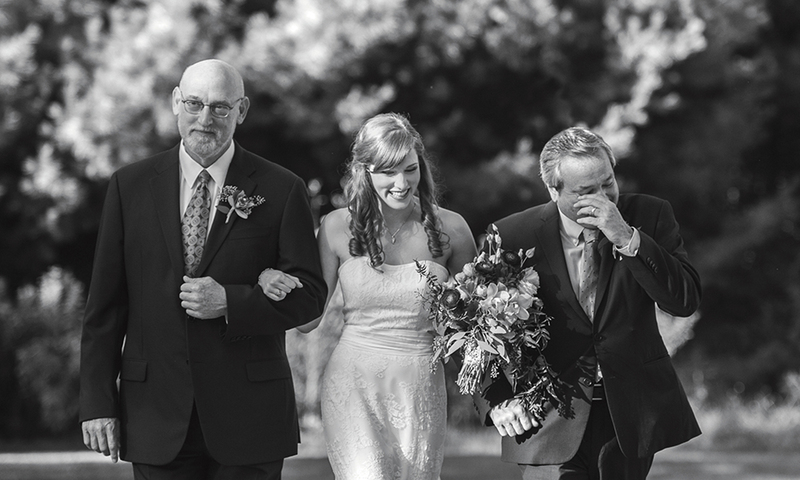 By Andrea Timpano·	 6/23/2015, 5:50 a.m. 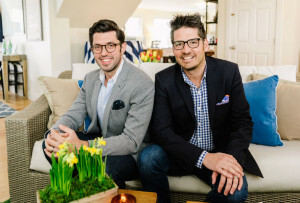 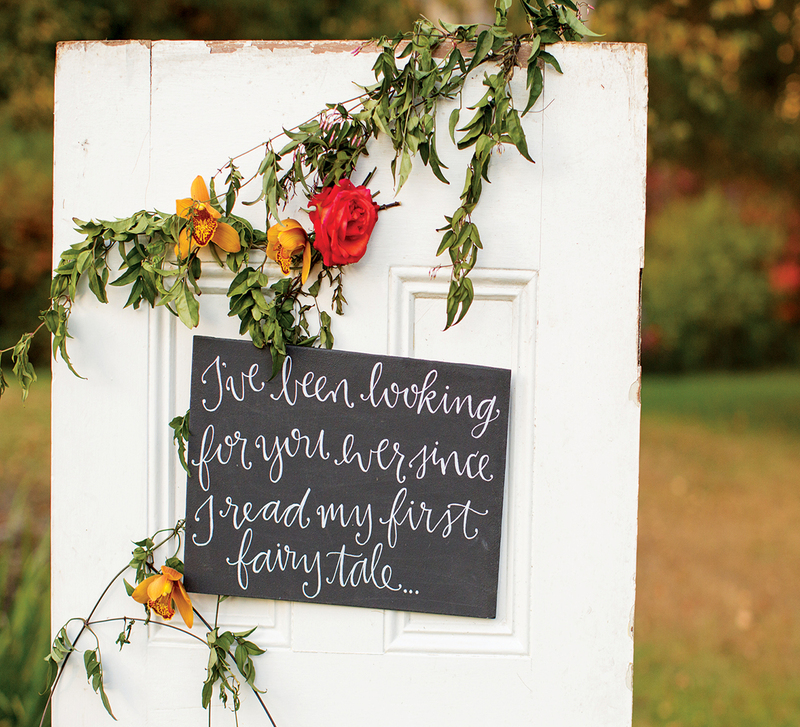 In planning their wedding, the Cambridge couple looked for rustic venues where they could create a “fairy-tale experience” for their guests. 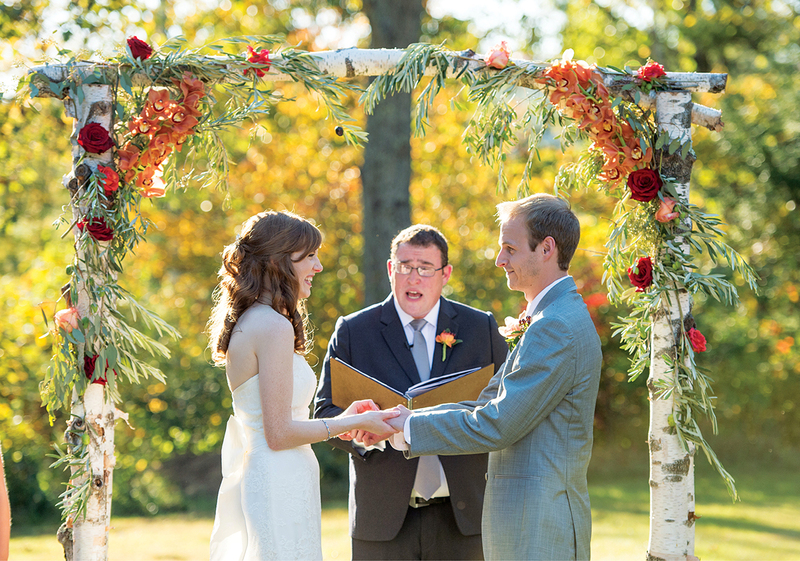 They quickly decided on Bishop Farm, a restored 20-acre property in New Hampshire’s White Mountains that Sarah describes as magical. 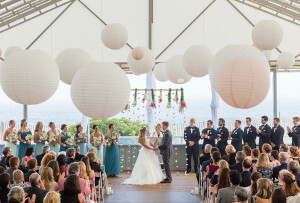 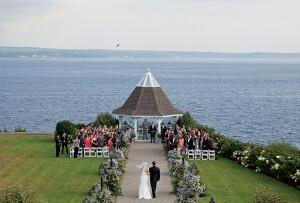 And so last September, the couple said “I do” during a sunset ceremony that was officiated by the bride’s brother, Jameson, who was with Sarah and Corey on the night they met. 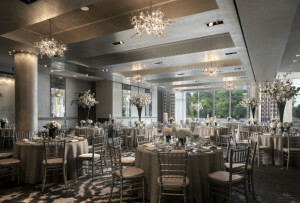 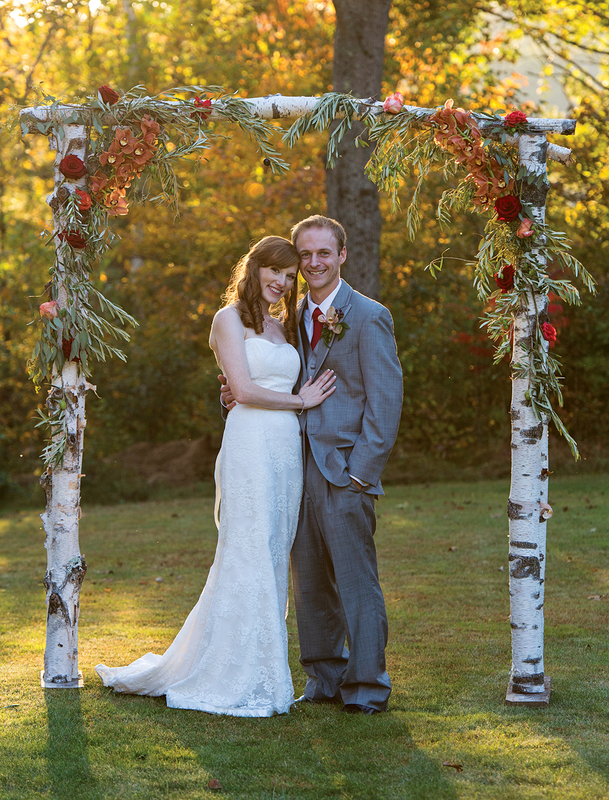 The couple wed under a birch arbor adorned with olive branches and the same roses and orchids used in Sarah’s bouquet. 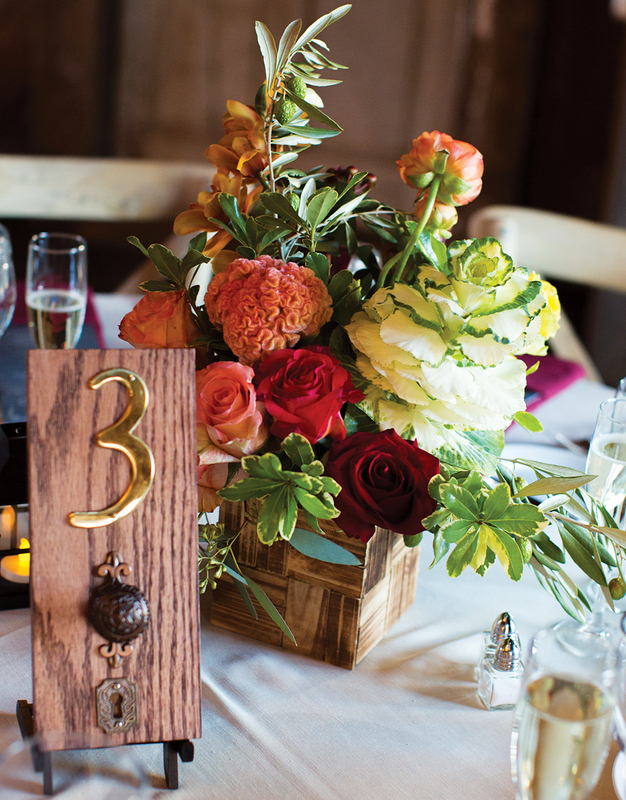 A woodworking enthusiast, Corey created the table numbers by attaching doorknobs and key holes to blocks of wood to complement the reception’s lock-and-key theme. 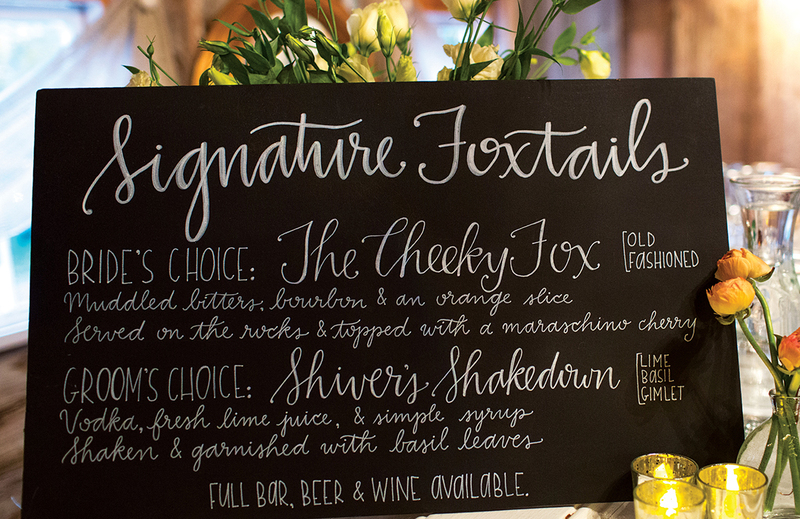 “Signature Foxtails,” a reference to Sarah’s love for foxes, were served at a bar fashioned out of hay bales. 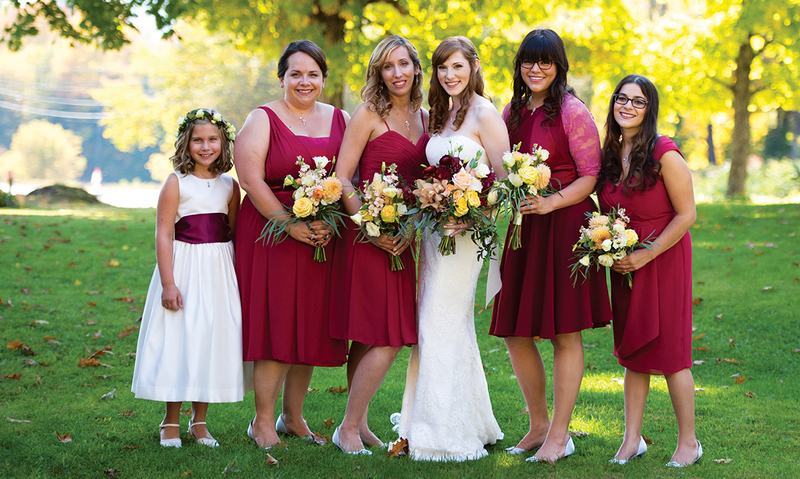 Sarah’s bridesmaids wore cranberry dresses from the Dessy Group. 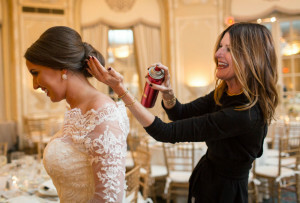 “I wanted them to let their personalities come through,” Sarah says of her decision to let each ’maid choose her own style.